Samuel Winifred Trigger was born at Macarthur in 1885, the son of Samuel Trigger and Edith Wheller. In 1905, Samuel was living at Broadwater, just south of Macarthur and working as a labourer. By 1912, Samuel and his parents had moved to Hamilton and were living on Digby Road. Samuel remained in Hamilton for another year before moving to South Australia, working as a barman in a hotel at Murray Bridge, South Australia. It was also in South Australia where Samuel enlisted, on 2 March 1916 at Mt. Gambier. He departed Australia on 11 April with the 30th Battalion for Egypt arriving in May. After just a few weeks, the 30th Battalion moved on to France arriving 12 June. On 12 July 1916, the 30th Battalion saw significant fighting at Fromelles. They were rotated to the frontline with other battalions. Samuel Trigger was on a rotation to the frontline on 16 August 1916 at Mouquet Farm. “Triggs” as his army mates knew him, went over the trench parapet and was shot in the head. There was heavy fighting at the time and what happened to Samuel after that is unclear. Some eyewitnesses said he wasn’t buried because of the heavy fighting while others said he was buried where he fell. Only four months after his enlistment, Samuel Trigger was dead and his body never found. 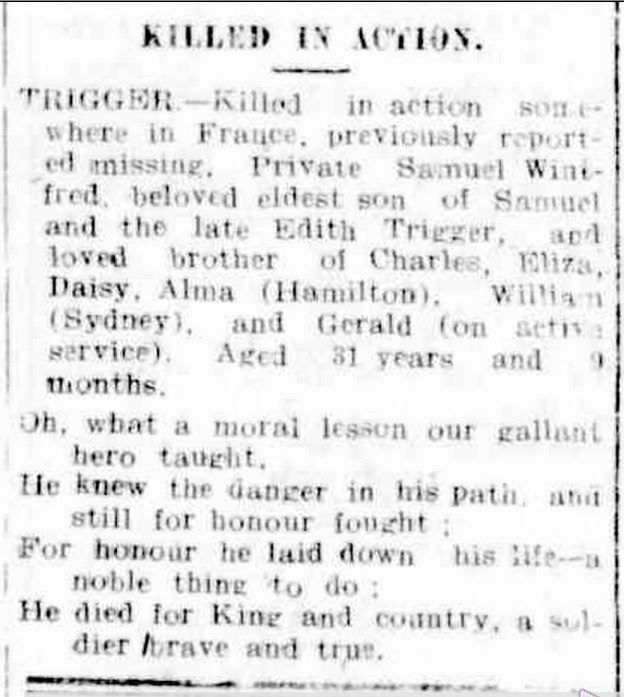 At home, the Hamilton Spectator reported on 19 September 1916, that Samuel was missing. 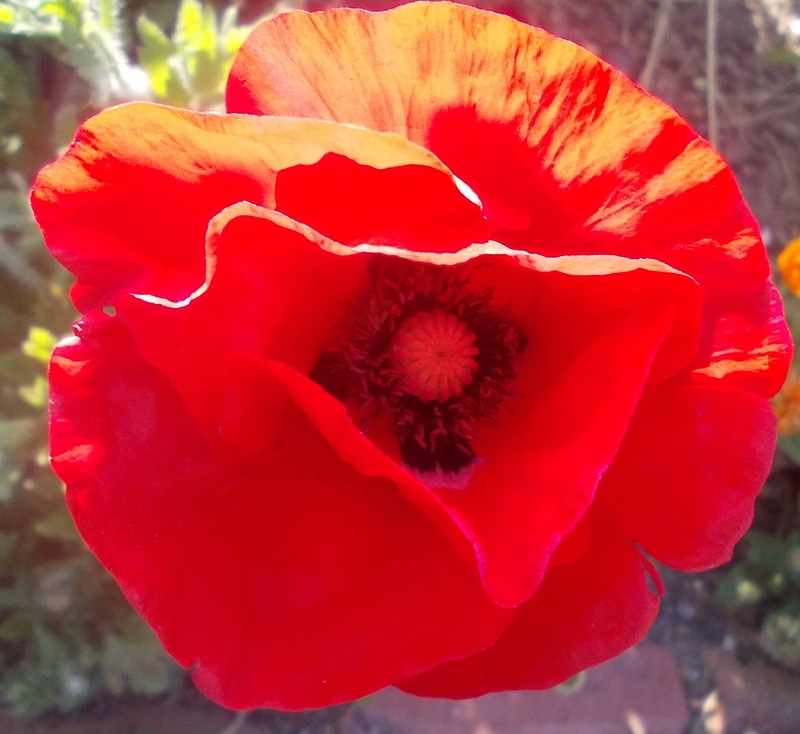 However, it was not until 11 July 1917 that Samuel and Edith Trigger learnt the news that their eldest son had been killed almost a year before. “Advertising.” Hamilton Spectator (Vic. : 1870 – 1873; 1914 – 1918) 20 Jul 1917: 2. Web. <http://nla.gov.au/nla.news-article119853709&gt;. A tree was planted for Samuel along Hamilton’s Anzac Avenue.